Back to life... back to (what passes for) reality! This week began with some much needed relaxation time and I had a lovely couple of days not really doing a hell of a lot, just relaxing on the sofa, watching movies and catching up on missed sleep. I've been on a mission to reclaim my flexibility and I've been stretching every night for the last couple of weeks - I've already just about got my right leg splits back, and I'm working on the left. I've never been able to do box splits because of my stupid hips, but I'm glad to see that the flexibility I had in college hasn't gone too far! On Wednesday evening I joined the fabulous Miss Danni Dee at Freedom in Soho as the guest of the The Danni Dee show. It was great fun, with a hugely enthusiastic audience, and Taz came along with Jess from Burlesque on Ice to cheer me along, which was lovely! Mirror Picture! With Miss Danni Dee! At the weekend I was back with the House of Magic family for a Bloody Valentines themed show - I was singing before the main show and covered myself in blood from a heart I pulled out of my chest! I love working at the House of Magic - it's a glorious, bonkers, lovely place to be and it's so far from anything I've ever done that I can't help but adore every moment! And that's about all for this week - I have a couple of exciting plans coming up for the week ahead, and hoping that shortly some plans I put in motion a few weeks ago will finally reap rewards, but that's all in the future, and for now I'm going to curl up and attempt to fight off this imminent cold with lashings of Beechams and ibuprofen! 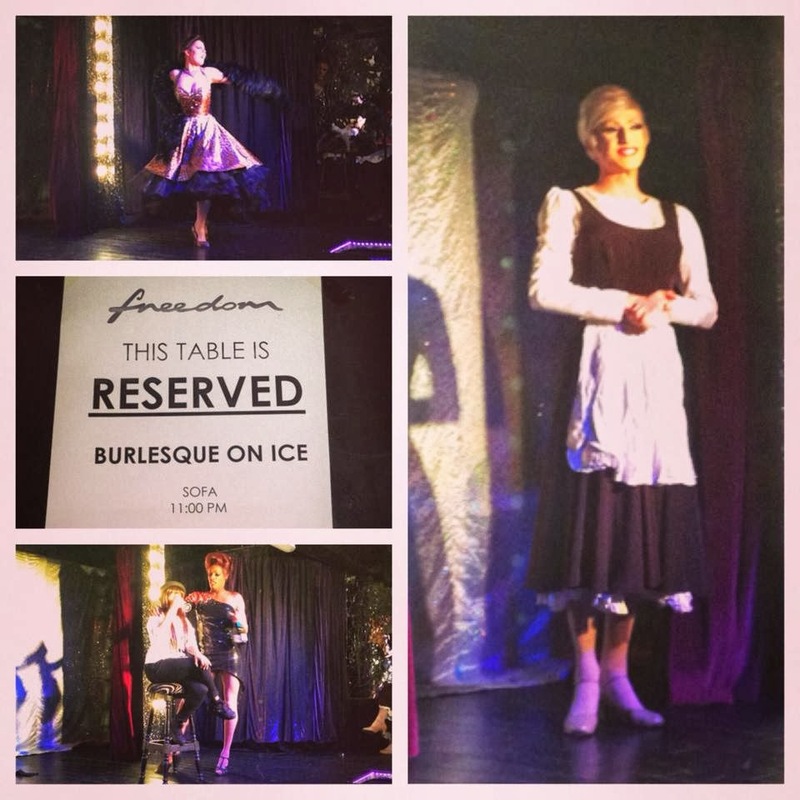 Burlesque On Ice - Over and Out!